A few years back, I was totally obsessed with Star Wars. It's lessened a bit nowadays, with my discovery of LotR. Still, I like to think of myself as an authority on Star Wars, as I've read many many books and played lots of games, not to mention hours on Wookiepedia. However, my knowledge of comics is severely lacking. I have no idea who Zayne Carrick of Cade Skywalker are, so don't ask. I recently discovered LOTRO with it's move to F2P. I play alot, but will probably have to abandon it when TOR comes out. I plan on being fairly active here. I'm up for helping the newbies, joining raids, assisting on quests, and answering distress calls for some PvP. I plan on just helping out, not shouldering huge responsibility or anything. Hmm. I'd say the pleasant atmosphere, general versatility (You guys PvP, PvE, and RP? ), strict guidelines for entering, and your allies with a guild my friends in. I expect a good place for trading/crafting, people willing to assist with quests, enough raiders to get a group together, enough RP'ers for some random RPing, enough PvP'ers to PvP with, enough level-capped veterans to ask advice and help out, enough newbies to bring a pleasant atmosphere and endless requests for advice, enough enemies to rally against, and a general pleasant atmosphere to play the game in. 10.Role-Play experience/expectations. Can you give us some examples of Role-Playing you have participated in before. When it comes to expectations, give us an example of what would be fun to participate in, what you are looking for, etc. *I enjoy RP, but it's pretty scarce on Gladden. Id'say I'm a medium RP'er, with a backstory, but I don't do it constantly, and certainly don't expect others to. The funnest kind of RP in my experience is random and spontaneous, with both players making it up as they go along. What is dislike is RP in combat; I can type and I can fight, not both together. I guess just generally I'd just like to help people out. Bring some more firepower so a newbie can beat a quest, add my minigun to a raid, give some craft materials away, just being helpful. I wouldn't call myself a natural leader, but I do often get put in that role IRL. Well, as much as a 14 year old can. Still, I don't play games to shoulder massive responsibility, I do it to relax. I'm afraid I'd make a poor squad leader. One who is kind, patient, understanding, smart, good in a fight, good in a debate, helps the newbs, shuts down noobs, and generally does his best. Most important, he isn't whiny and doesn't make a nuisance out of himself. My friend signed up with the Saints of the Old Republic. They look like a quality guild, but seem a tad too restrictive. I found you guys in their alliance tab. I have. I thought they were, good if standard rules. Mostly, don't be a jerk and you'll be ok. I'm not sure how to provide proof. I think I do. I'd say Respect is treating everybody with a minimum amount of politeness. Also, the willingness to listen to other people, and know your place. A person with respect follows orders, even if he disagrees with them. Respect is beyond yes ma'am/sir, it's genuine. I like to think I'm a respectful kid, though I don't buy the "adults are always better at you in everything" thing. Honor is acting with kindness, respect, valor, and fairness. Not stooping to the levels of others, a honorable person always takes the high road, even though it's an uphill climb. Honesty is I think one of the most important parts of being honorable. Always keeping your word, and not making promises you can't keep. Lying, cheating, stealing, and general underhandedness is below an Honorable Person. I definitely try to be an honorable person. Loyalty is sticking with a person or promise through thick or through thin. Rather than bailing at the first sign of trouble, a loyal person stays till the end, whether is be good or evil. Loyalty to a cause means not giving up, no matter what. I would say the most important part of loyalty is unfailing determination. I hope I'm a loyal person. Maturity is... hard to describe. For something so important, maturity is difficult to put into words. I'd say maturity is acknowledging your not the smartest person on the earth. Knowing when to speak and when to hold your peace. I would say I'm a mature person, at least comparatively. Hey guys, I'm Palidane! I'm just a 14 year old kid from the deep south with a passion for Star Wars and gaming in general. I like reading, debating, fencing, running, ATV riding, and saving the world. . I'm one of the smartest kids in my class, but I can be a cynic at times. I tend to be confrontational, which has landed me in some trouble over the year. I'm gonna be rolling a Trooper Commando, then I'll try the other republic classes, then the sith. Light side all around though, dark side makes me feel guilty. -Character Physical/Mental Features: Normal looking human with short black hair and a vertical scar over his right eye. -Character Biography: Still working on it. Probably the son of a wealthy senator or something. 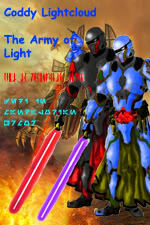 Thank you for your interest in the Army of Light, Palidane! Your Application will now be reviewed by the AL Recruitment Council. A decision will be returned to you, normally within 48 hours. I hope luck for your application, we could always use another trooper. Thank you so much sir. It's great to be a real member.